The career ethics official who initially cleared Environmental Protection Agency Administrator Scott Pruitt’s $50-per-night rental agreement for a room in a Capitol Hill two-bedroom condo owned by lobbyists appeared to backtrack on that approval Wednesday, saying it was based on the text of the lease, not how the property was actually used. Kevin Minoli, EPA’s principal deputy general counsel and the agency’s designated ethics official, issued a new memo explaining the rationale for his original verdict on the lease. 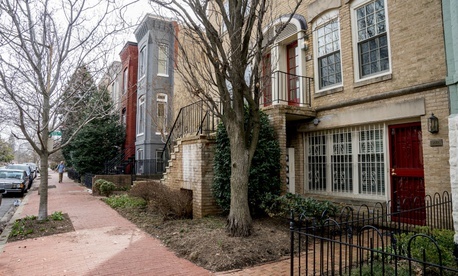 In it, he noted finding a number of Airbnb listings in the vicinity of the Capitol Hill apartment for single rooms in the neighborhood of $55 per night. But he said his decision was based on the text of the rental agreement with health care lobbyist Vicki Hart, not necessarily the reality of Pruitt’s tenure at the residence. Additionally, Minoli said his analysis did not take into consideration whether Pruitt provided favorable treatment to Vicki Hart’s husband, Steven Hart, as a result of the rental. Steven Hart is chairman of Williams and Jensen, a lobbying firm with a number of clients who fall under the EPA’s jurisdiction. A signed copy of the rental agreement, which Minoli attached to the memo, initially listed Steve Hart as the landlord, but his name is scratched out in pen and replaced with Vicki Hart’s. On Thursday, White House Deputy Press Secretary Hogan Gidley reiterated comments made by Press Secretary Sarah Huckabee Sanders on the previous day when asked about Pruitt. In another ethics controversy, Pruitt on Wednesday told Fox News that he was unaware that two of his top aides had been given sizeable raises through an obscure provision of the 1996 Safe Drinking Water Act, circumventing the White House, which had disapproved of the pay increases, and that he had reversed the decision. But the statute in question provides authority only to the EPA administrator, calling his denial into question. “To the extent that the administrator of the Environmental Protection Agency deems such action necessary to the discharge of his functions . . . he may appoint personnel to fill not more than 30 [positions] without regard to the civil service laws,” the law states.